Background: Calcified coronary lesions represent technical challenges during percutaneous coronary intervention and are associated with a high frequency of restenosis and target lesion revascularization. Rotational atherectomy has been shown to increase procedural success in severely calcified lesions, facilitate stent delivery in undilatable lesions and ensure complete stent expansion. However, rotational atherectomy in ST-elevation Myocardial Infarction (STEMI) is traditionally avoided given the concern for slow or no reflow and considered a contraindication in lesions with a visible thrombus by its manufacturer (Rotablator, Boston Scientific). Conclusion: This case demonstrates the successful use of rotational atherectomy to facilitate dilation and revascularization of a heavily calcified culprit lesions in a patient with acute anterior STEMI with ongoing chest pain. 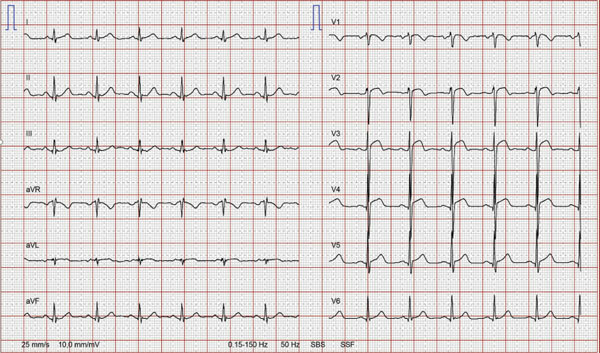 Rotational atherectomy, STEMI, calcified culprit lesion, thrombus, chest pain, TLR.